I can’t wait to tell you about my evening the other night. 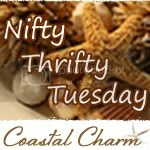 I was definitely going to post my freebie friday, but something came up, and so I have to get it sent out today. I think you’ll forgive me when you hear what happened. For years, everyone has been telling me how beautiful my jewelry is, and when will I start selling it. I have seen it as a very fun hobby. But as I mentioned in my profile and about my store, I decided that I truly want to create this new life where designing and making jewelry and therefore helping women feel beautiful is my calling or career. But, there has been a little part of me that has still questioned … “Can I really do this?” Am I really going to make this happen? Well, the answer is YES!! Last night my husband and I had a hot date, we went to see Woody Allen’s new movie, “To Rome with Love.” Funny, yes (especially the showering Italian – don’t worry, no spoilers here), but not as good as the Paris movie, in my opinion. Anyway, afterwards we were craving Italian food. So, we went to Macri’s, which is an amazing Italian restaurant here. No greasy spaghetti here, there are TWO chefs in the kitchen and a whole assortment of gelato’s made on the premises, need I say more? So, our waiter starts telling us about the Italian festival that will be coming up on July 20th and 21st. He gives us a brochure, and I see the tiny, tiny, little word “vendors” at the bottom. Before I give it any thought, out of my mouth pops “Do you still need more vendors?” YES, he says. I’ll have the owner come over and talk to you. Well, I, of course, had my Nook with me, so I was able to show him my Etsy store and a sampling of my jewelry. He loved them, gave a quote, I paid the bill, I got my invoice and receipt. And now I’m committed!! I will be a vendor at an event that generally attracts around 10,000 people! WHAT HAVE I DONE? I can’t decide if I want to jump up and down with delight, or stop long enough to let the fear set in. But, the primary emotion I feel is … well, picture Sally Field at the Oscars, when she says “You like me, You like me, … you really like me!” That’s how I feel. And then the question begs to be asked … why does it take a complete stranger to validate that I am a creative artist? Why do I shrug off the compliments and praises from people who I admire and love, and just consider them as being “nice.” Someday, ask me about the word nice … and to my sister Michelle … that bit was for you! So, in keeping with the brand new development and the excitement that I’m on the cusp of a new beginning, I’ve created the following Freebie. I truly hope you enjoy. And, I also pass along my best wishes that you are creating the life you want to live. Sometimes it just takes not thinking too much, and opening your mouth! I love the picture in this Freebie. It is from a vintage hat advertisement from the 1920’s. Not Chanel, but I would like to think that Coco wouldn’t be offended. As always, feel free to click on the picture and download for personal use. I only ask that you do not mass produce or use for profit in any manner, without express permission from me. Of course, you may direct any and everyone to my site to download their own free copy. 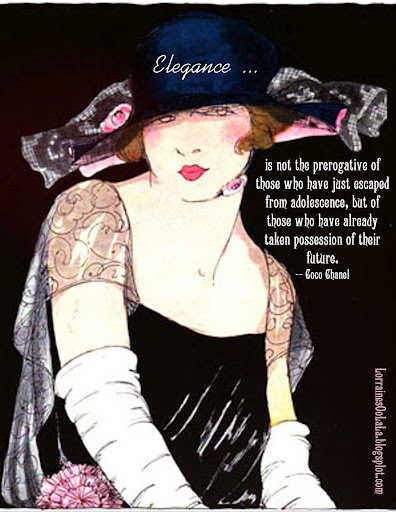 Bonjour Mes amies … go create some elegance in your day! YAY! I'm happy for you. Be excited, and let it flow into your work. Thank you so much! I am excited. There are definitely butterflies in my stomach … but I'm truly excited. Thank you so much Holley. You'll have to come out and see me. Of course, if the heat continues up, I won't blame you if you take a pass!